Today has been a freezing, cold rainy Sunday, so it felt o.k. to have nowhere to go and nothing to do – and happily, except for some wicked acid reflux, I’ve had a pretty good day. Nothing that a little Zantac and Gaviscon can’t handle. I was blessed to have my daughter and son-in-law (they’re so cute) and later, my sister and brother-in-law come by for visit. 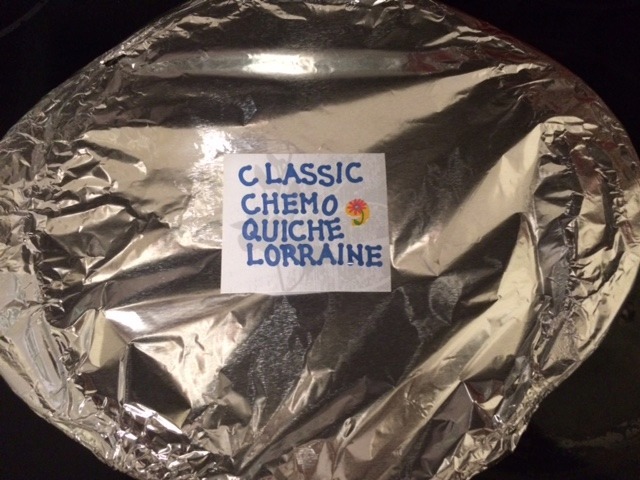 And then…the doorbell rang — and who’s there, coming in from the pouring rain but my angel Annie (of the chicken pot pie fame) with a freshly baked quiche. How heart-warming when you’re heart-burning, right? I’m so overwhelmed to have such a circle of caring friends and family who have shown up for me. I’ve also been very lucky that the smell of food is still pleasing because, thanks to Mrs. B., the aroma of bacon that’s bakin’ is outrageous. 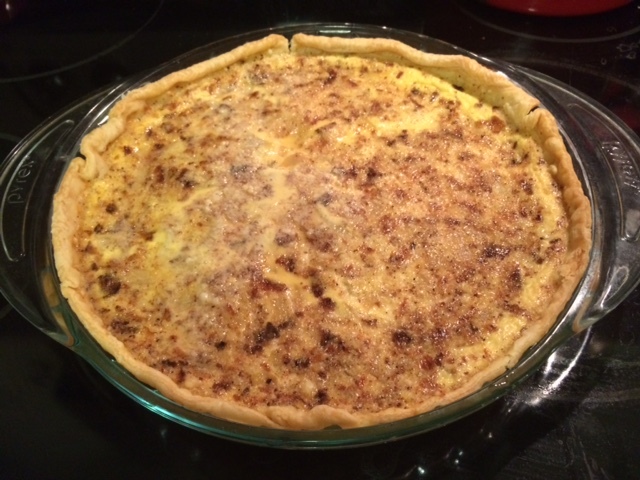 That quiche looks delicious. Ask her for the recipe so that one day when I get back to ct. I can TRY to make it for you.